After months of stakeholder consultations the draft methodology of the Access to Seeds Index is now subject to review. 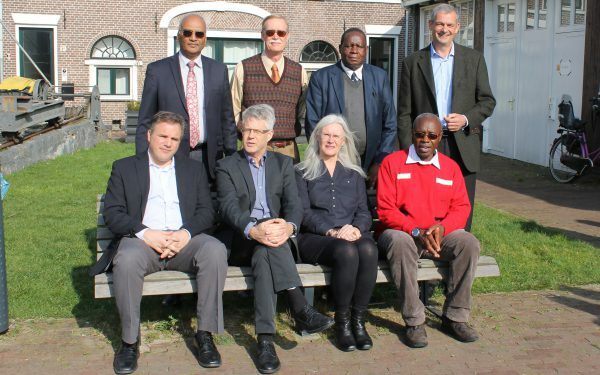 The Expert Review Committee convened for the first time at 10 March 2014 for a one day meeting discussing the goals, scope and methodology of the Index. Standing from left to right: Mr. Ram Kaundinya, Board Member Advanta Limited, former CEO and Managing Director of Advanta, Mr. Thomas Osborn, former Senior Agricultural Officer at the FAO, Mr. Philip Kiriro, president of the East African Farmers Federation, Mr. Christoph Amberger, independent consultant in the seed industry, former board member of KWS Saat AG. Sitting from left to right: Mr. David Spielman, Senior Research Fellow at the International Food Policy Research Institute, Mr. Michael Halewood, Senior Scientist and Head of Policy Research at Bioversity International, Mrs. Paula Bramel, Assistant Executive Director of the Global Crop Diversity Trust, Mr. Chagema Kedera, consultant to the Bill & Melinda Gates Foundation (observer). Mrs. Gigi Manicad, Senior Program Manager for Oxfam is not in the picture. Unfortunately she was unable to attend this meeting.